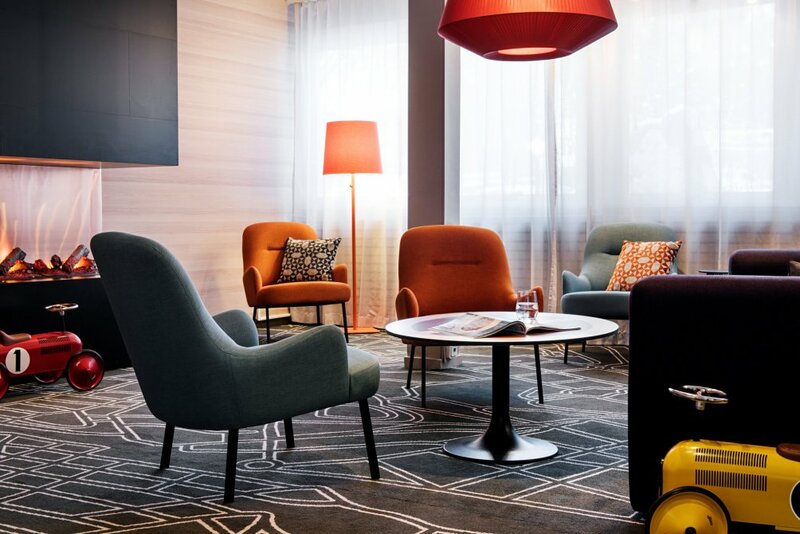 WMDCC players will have their very own and cosy hotel at Scandic Östersund Syd, located just a short busride from the action in Östersund Arena. 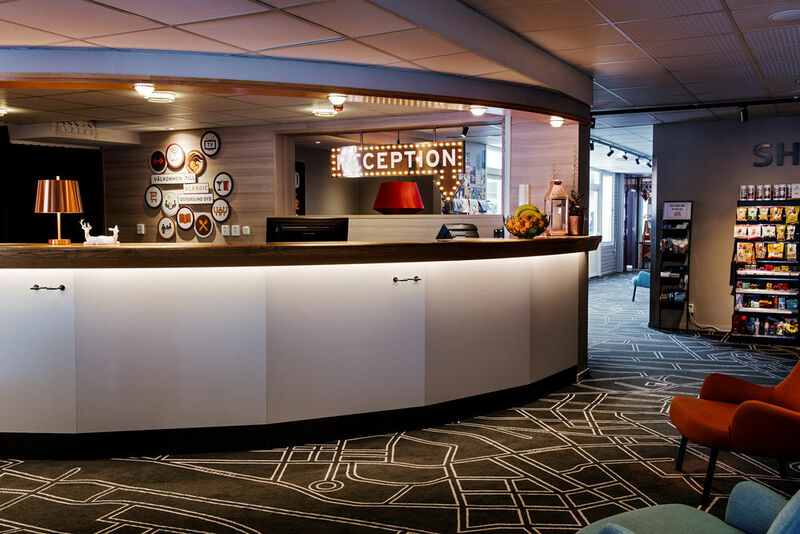 At the hotel the players can start the day off enjoying an all organic breakfast buffet with lots of tasty choices – bacon, scrambled eggs, fruits and delicious freshly baked bread and cold cuts. Free wifi throughout the entire hotel makes it easy to stay up to date with family and friends back home. All teams staying at this hotel can use the complimentary shuttlebus service to/from the venue, players going to their draw have priority. 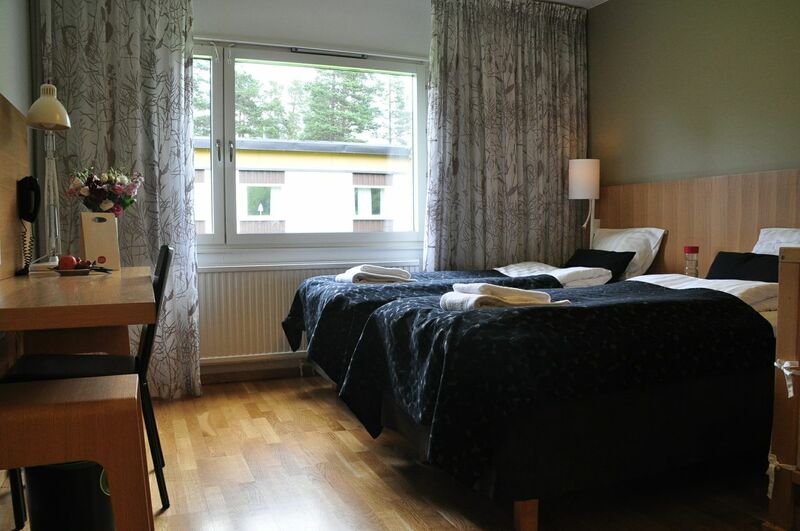 Our WMDCC hotel Scandic Östersund Syd, offer 129 rooms. The hotel have a gym and sauna with relaxation lounge. Free highspeed Internet access throughout the entire hotel and they also have a guest computer in the public area, close to the front desk. Conference and meeting rooms appropriate for 5 up to 90 attendees. 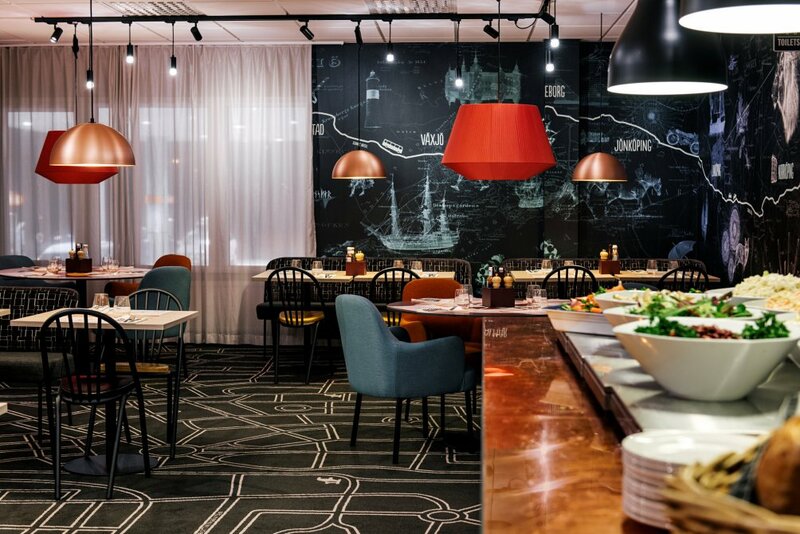 Bright and fresh restaurant with delicious meals from A la Carte menu. Special offer for WMDCC teams inclusive of a breakfast with organic food. Reservations can be made until February 25th and your reservation will be definitive when prepayment are done, no later than 2 months before arrival. 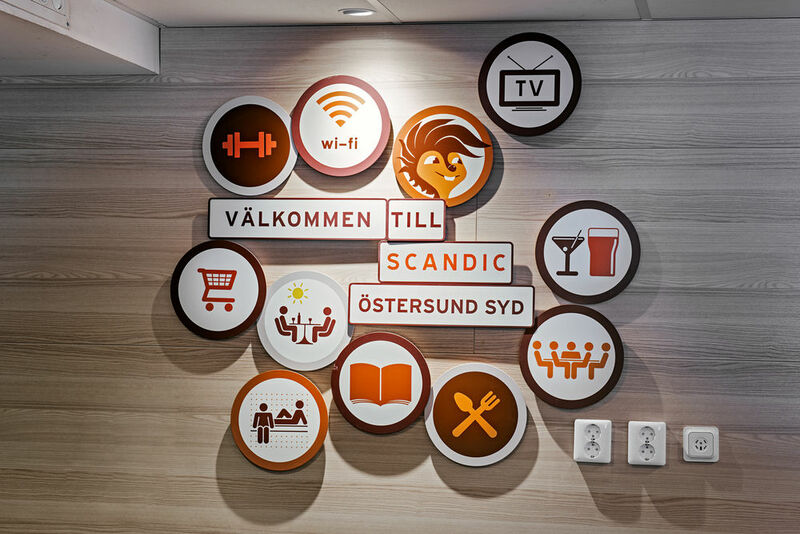 Scandic Östersund Syd is located 3,5 km from the city centre, or 4,6 km from the venue. There are three bus lines that connects the hotel to the downtown bus station. A single ride cost SEK 30:- for adults (SEK 15:- if You’re under 19) and takes about 10 minutes. Buses do not accept cash, major creditcards are accepted. You can buy a “valuecard” which You can “load” with a value for a certain amount of rides.